Since its inception in 1961, the Master of Business Administration programs at the University of Rhode Island College of Business match the needs of participants from all degrees and career paths. EVENING MBA Offered at the URI Feinstein Providence Campus, the Evening MBA is designed to emphasize conceptual, analytical, technical, and interpersonal skills. The curriculum allows for breadth in such topics, including six new courses that allow you to focus on healthcare management. Material for this non-thesis program is presented through lectures, discussions, case studies, and individual and group projects. The Evening MBA program does not require previous instruction in business administration. ONE-YEAR MBA IN STRATEGIC INNOVATION This program immerses you in live business environments to analyze problems and provide hands-on learning opportunities with real clients to deliver creative solutions. Innovation, continuous improvement, and performance are among the focused topics for the program. 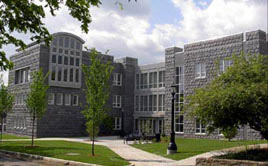 The One-Year MBA in Strategic Innovation is also based at the URI Feinstein Providence Campus. Since its inception in 1961, the Master of Business Administration programs at the University of Rhode Island College of Business match the needs of participants from all degrees and career paths. EVENING MBA Offered at the URI Feinstein Providence Campus, the Evening MBA is designed to emphasize conceptual, analytical, technical, and interpersonal skills. The curriculum allows for breadth in such topics, including six new courses that allow you to focus on healthcare management. Material for this non-thesis program is presented through lectures, discussions, case studies, and individual and group projects. The Evening MBA program does not require previous instruction in business administration. ONE-YEAR MBA IN STRATEGIC INNOVATION This program immerses you in live business environments to analyze problems and provide hands-on learning opportunities with real clients to deliver creative solutions. Innovation, continuous improvement, and performance are among the focused topics for the program. The One-Year MBA in Strategic Innovation is also based at the URI Feinstein Providence Campus. Want more info about University of Rhode Island College of Business Administration MBA Programs? Get free advice from education experts and Noodle community members.